Jason Lipkin lost all the hair on his body when he was 35 years old. The dad and attorney was diagnosed with a rare and extreme type of hair loss, known as alopecia universalis. Faced with almost no hope for regrowing his hair, he took part in an early stage clinical trial using a medication that targets the immune system, which is believed to cause this kind of alopecia. Miraculously, his hair grew back, showing promising new use for the drug. Hair loss may be common for everyone, but this type of alopecia isn’t. Here’s what you should know. Alopecia is a blanket term for hair loss. In some cases, it occurs when the immune system attacks hair follicles. Autoimmune alopecia is a very different kind of hair loss than the more common male-pattern baldness, which occurs when some people’s hair follicles are more sensitive to hormone levels than others. Although experts don’t fully understand alopecia — the three kinds are alopecia areata, totalis and universalis — they believe it occurs when a person’s immune system is triggered to release chemical signals that target hair follicles and stifle hair growth. Alopecia universalis, a complete loss of all body, face and scalp hair, is considered to be the most extreme and rarest form of the condition. Alopecia totalis, which is characterized by the loss of only hair on the scalp, is a less advanced form of the condition. The most common form, however, is alopecia areata, which causes small circular and patchy bald spots to develop — usually on the scalp and face. 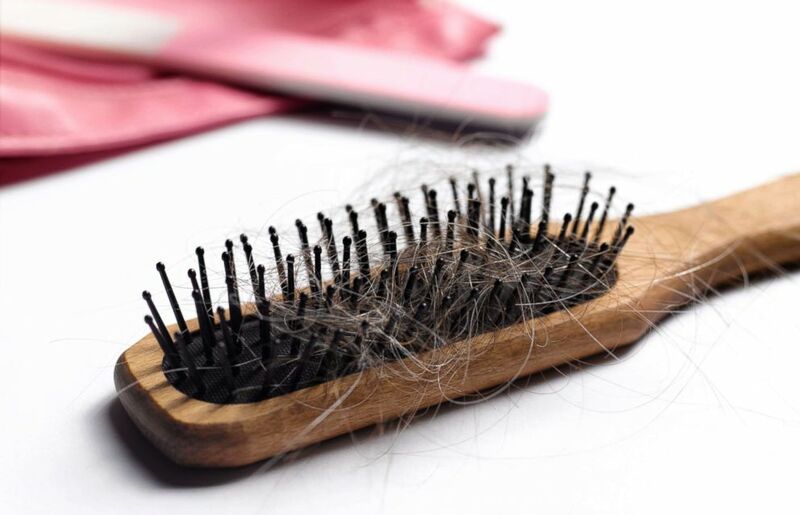 This stock photo depicts hair in a hairbrush. Alopecia areata affects nearly 2 percent of the general population at some point in their lifetime. And according to the National Institute of Health, 7 to 25 percent of alopecia areata patients will go on to develop alopecia totalis or universalis, too. People with alopecia usually develop their first patch of hair loss before 20 years old, and some may even develop it during childhood. The earlier it develops, the less hope there is for regrowth. Hair loss may be the most prominent symptom of autoimmune alopecia, but some symptoms are invisible. Patchy hair loss is usually the only symptom associated with the autoimmune disorder. Occasionally, it is also associated with other autoimmune conditions, such as thyroid disease. But while many people may brush off losing hair as simply a cosmetic issue, alopecia is often more than that. Alopecia can take an emotional and psychological toll on patients, and the unpredictability of the hair loss can also be frustrating. Lasting treatments for alopecia are hard to come by, but some people might not even need it. Through research and clinical experience, dermatologists around the world have found that many people with limited forms of alopecia areata regrow their hair within a year, sometimes even without treatment. For those with advanced forms of the disease, however, it is rare to see lasting hair regrowth even when traditional treatments are used. These treatments include steroid injections into the small bald spots, which can chase immune system cells away from the area and allow hair to grow again. In people with advanced forms of the disease, oral steroids might be given due to the disease being too widespread for injections. Only about 10 percent of alopecia universalis patients see a full recovery, according to the NIH. 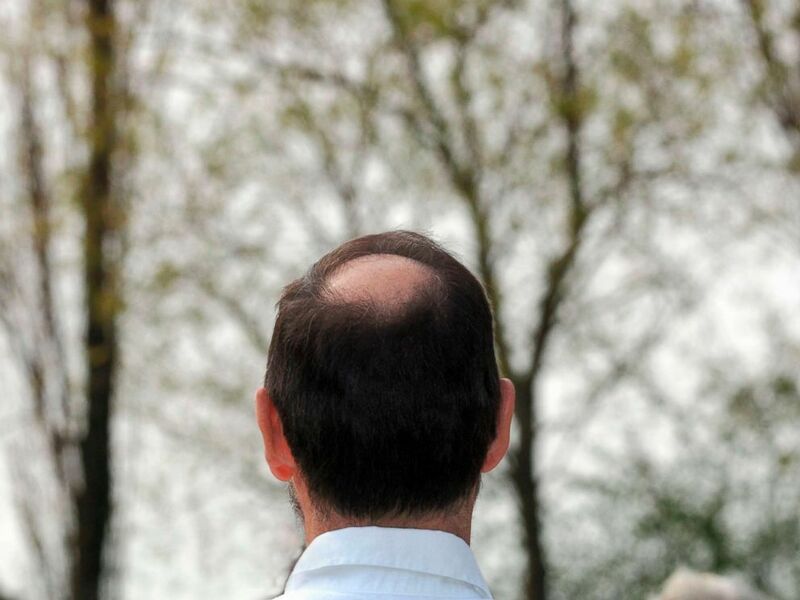 This stock photo depicts a balding man. Still, Dr. George Cotsarelis, chair of the Department of Dermatology at the University of Pennsylvana Perelman School of Medicine, believes there’s hope. “Stem cells are still present, so they always have the ability to make new hair,” he told ABC News. Lipkin tried a class of new medicines successfully, but there are risks associated with the drug, too. Lipkin took part in a clinical trial for a class of medicine known as JAK inhibitors. These drugs suppress the immune system, making it unable to attack the hair follicles and stop hair growth. However, they are only FDA-approved for conditions like psoriatic and rheumatoid arthritis, not alopecia totalis or universalis. Since 2014, several clinical trials have shown promising results in alopecia patients who took JAK inhibitors. Roughly two-thirds of those who used them reported regrowth of their hair. But there are downsides to the drugs as well. After people stop using them, for example, the hair that they grew back is likely to fall out again. The effects that the drugs have on the immune system also increase a person’s risk of infection and even some cancers. “I’d be very reluctant to keep someone on a broadly immunosuppressant treatment like this for five, 10 or 20 years,” said Cotsarelis. To circumvent these side effects, doctors have begun looking into topical forms of the oral JAK inhibitors medications. In doing so, they hope to prevent it from affecting the patient’s whole body, and just the area that it is applied to. Obtaining JAK inhibitors will most likely be difficult. Treating alopecia becomes more challenging for patients because some insurance companies classify hair loss as only a cosmetic concern. This can make it difficult to get even simple treatments, like the steroid injections. That means that it might be even more difficult for patients to get JAK inhibitors covered for off-label use. For patients seeking JAK inhibitors, clinical trials may be the only route.